This pattern is perfect for any level quilter and combines piecing and applique to finish the blocks. 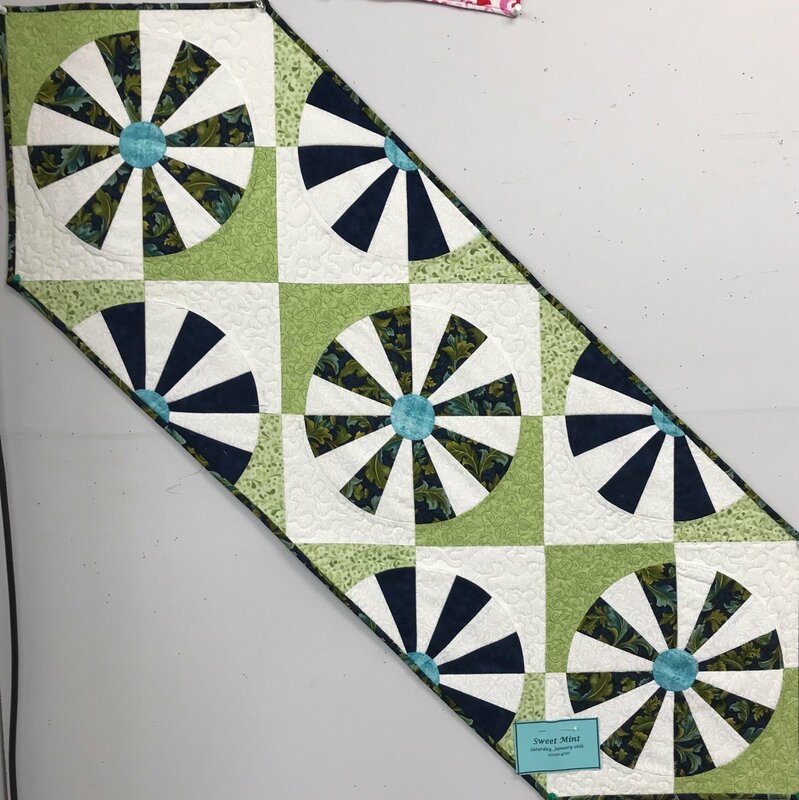 Make the table runner as you see in the store sample during class time, or venture bigger to maka lap size quilt! Rotary cutting experience and pattern purchase required. Template purchase strongly encouraged. Pattern. Template optional but strongly encouraged.